This one is for kids – give them hours of fun – keep them busy with something creative! 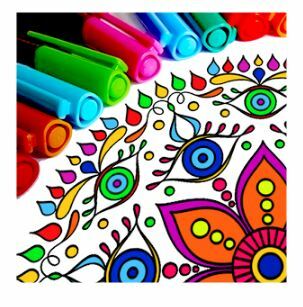 Mandala Coloring Pages is like a digital coloring book. Blank designs are available and so are the colours. What you have to do is just pick a variety of colour-combinations and paint the designs. There is a rich array of colours to choose from. Be sure to use a bigger screen option (with high resolution), like a tablet to really enjoy and paint those intricate designs. You can zoom in to have better clarity while working and more accurate filling of colours. You can save and upload your work and even share it with family and friends. Good to keep children busy while doing something purposeful.